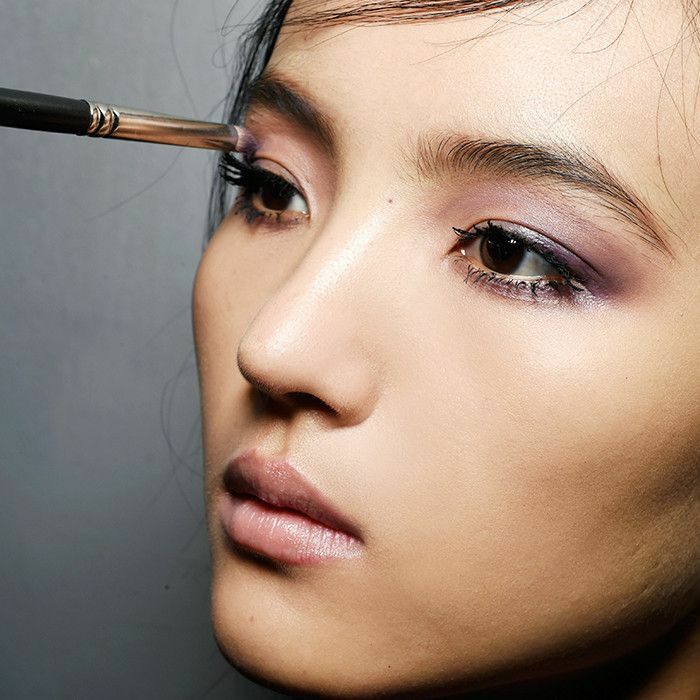 Believe it or not, there's a right and wrong way to take off your eye makeup. And it's not just about what you're using, but rather how you're using it. These days, makeup is long lasting, budge-proof, and often waterproof. As such, it's important to use a makeup remover that's ready to handle the job. If you use poorly made eye-makeup remover, you'll have to work harder (read: torture your skin more) to remove it. I spoke with a few renowned makeup artists and dermatologists to get the skinny on the best technique and products to use. Unsurprisingly, they all agreed on one thing: Pulling or tugging at your skin results in damage and breakage of the delicate blood vessels. You can easily tear the thin sensitive skin area around your eyes, and ultimately wear out your skin (i.e., hello wrinkles). To put a stop to this madness, see below for everything you need to know to remove stubborn makeup without aging your skin in the process. "With your first step done (you've chosen a good quality and effective remover), the technique you use to apply the remover is next. Avoid using scrubbing or rough rubbing methods—if you're having to work with force to take off the makeup, you need to step back and find a new product," says Rachel Nazarian, a NYC-based dermatologist. She continues, "Gentle dabbing and soft circular movements should be enough to lift the eye makeup off, without traumatizing the skin. The final step? Rinse off the eye makeup remover. Although many people skip this step, remember that makeup remover contains many ingredients and chemicals that make it shelf-stable, and you don't want those chemicals, or any residue, left on your skin. It's the buildup of all these preservatives and residue that can lead to early skin aging. 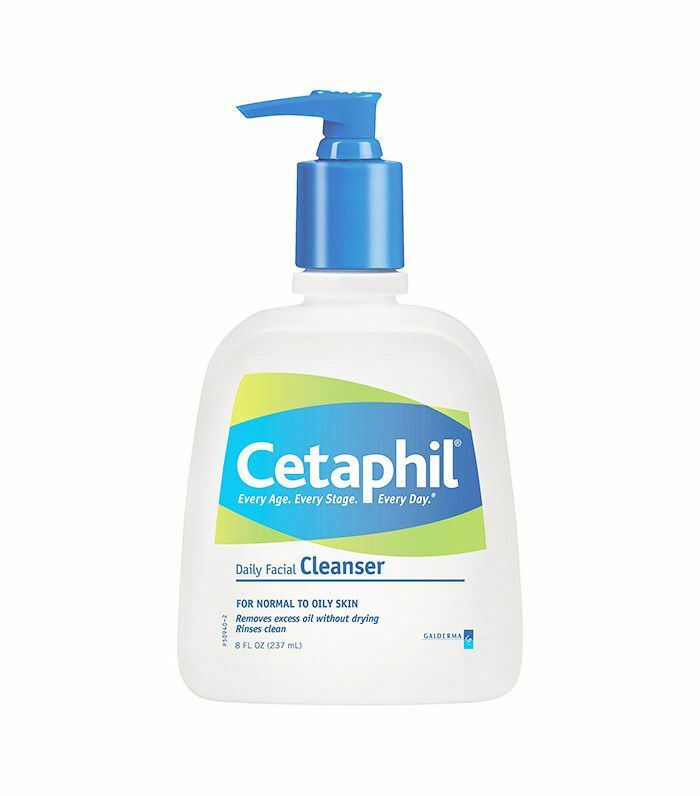 Find a gentle soap like Dove's Beauty Bar ($5) or Cetaphil's Daily Facial Cleanser ($6) and quickly rinse." "I'm completely obsessed with the Shiffa's Aromatic Facial Cleanser ($80)," exclaims celebrity makeup artist Kira Nasrat. "It's a gentle cleansing milk that decongests the skin without stripping it. It's great for all skin types, especially sensitive ones—which I have. I use it as a makeup remover and it doesn't irritate my skin or leave it feeling dry. If you love active ingredients like me, you'll also love Hyssop essential oil (you can buy it on Amazon), which is natural, has healing components, and helps to keep your skin clean. So when you're wiping away your makeup you're not left with irritated skin. It's anti-inflammatory and helps regulate breakouts too. I love this, especially in the winter." 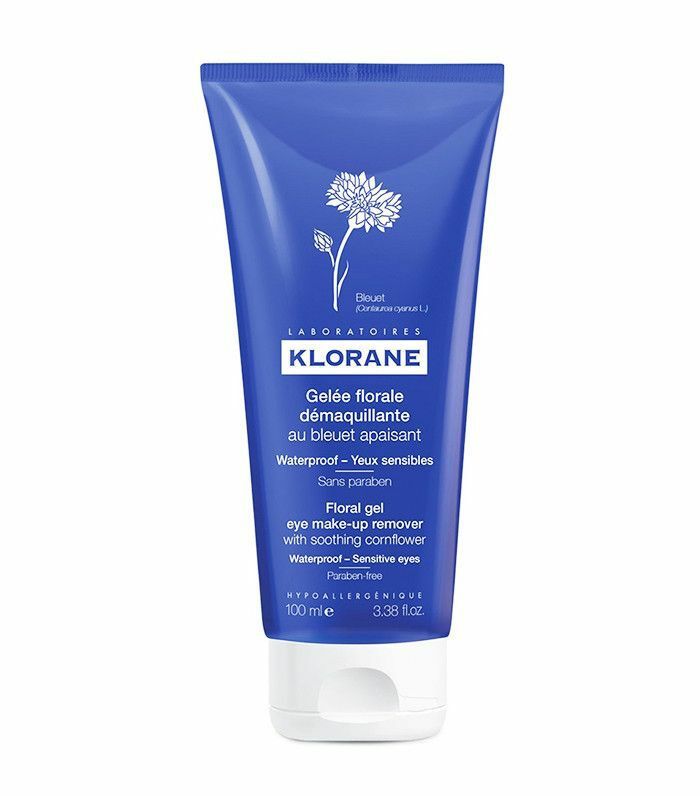 "One of my favorite products is Klorane's Eye Make-Up Remover Gel with Soothing Cornflower ($16)," says Honey artist Robert Greene. "The non-greasy gel consistency helps to avoid getting any of the product in your eyes (and even removes waterproof formulas) while the cornflower extract helps soothe and decongest the eye area, aiding in the reduction of puffiness. I like 'soaking' the eyes with cotton pads, and I find this to be a very gentle way of removing eye makeup." He recommends, "Cover your entire eye area with the gel, remembering to get your under eye area as well. Spray two cotton pads liberally with Avéne's Thermal Spring Water ($14) and place them over your eyes like cucumbers. Wiggle the pads gently to help break down your makeup for about 15 seconds, and repeat if necessary. Any leftover makeup should be removed by using Q-tips, especially around the lash line. I like to finish this process by placing liberally sprayed cotton pads with Thermal Spring Water over the eyes to help soothe." "Since the eye area is the first place to show aging on the face," celebrity esthetician Renée Rouleau explains, "it’s so important to treat this area gently. It is subjected to a lot of wear and tear from smiling, squinting, and rubbing of the eyes, which translates into wrinkles and fine lines. For eye makeup removal, I always suggest using a liquid, oil-free, fragrance-free, no-sting eye makeup remover (like my Soothing Eye Makeup Remover, $22), as these don’t contain irritants and oils that can seep into the eyes and cause unnecessary under-eye puffiness." Rouleau instructs, "Apply eye makeup remover to a lint-free toning cloth and gently press down on the eye, holding for 20 seconds. This gives your eye makeup a chance to dissolve to avoid unnecessary rubbing and touching. Then, after 20 seconds, wipe away your eye makeup and mascara in downward motions. Flip the pad or cloth over and move in an upward direction to get underneath the top lashes. Voilà! Be sure to limit your use of waterproof mascara, as it can be very difficult to remove, resulting in aggressive rubbing and tugging." She adds, "It’s always good to use an oil-free eye makeup remover. Why? Because many eye makeup removers (especially those for waterproof mascara) contain oil-based ingredients like mineral oil, castor oil, and petrolatum, which leave a greasy residue around the eyes. If you’re removing your makeup before bed and then applying an eye cream afterward, the greasy residue then acts as a barrier and won’t let your eye cream penetrate properly. You want the skin to be clean and bare to allow the active ingredients from your eye cream to get deep within the skin so they can deliver the best results. "I mentioned above to use a 'sting-free' formula (essentially an eye makeup remover that doesn’t sting when it gets into your eye). The reason for this is because not only is it irritating when the eyes sting but it can also make your eyes water. Since under-eye puffiness is a prominent concern for many, when the eyes water and tear up, it creates swelling and puffiness so when you got to bed afterward, you’re more likely to wake up with puffier eyes in the morning." 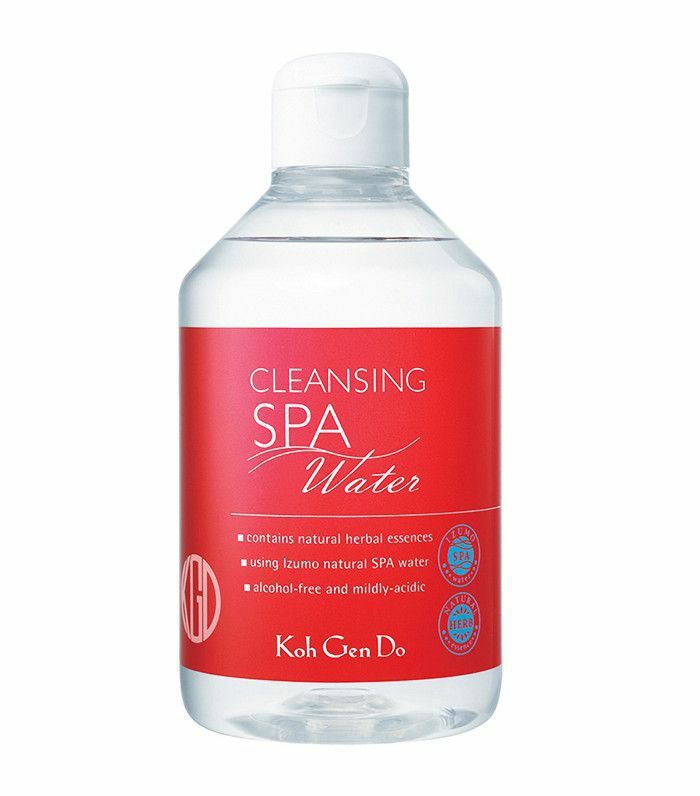 "If you wear contacts and prefer a water-based remover," explains Honey makeup artist Suzy Gerstein, "I love Koh Gen Do's Spa Cleansing Water ($39). I saturate two cotton pads (Koh Gen Do makes the absolute softest and most luxurious ones) and apply one above and one just below the lashes. Then, hold them there for a good minute or so to let them do their work without pulling the eye." Gerstein adds, "Another favorite remover—if you like a balm—is Sunday Riley's Blue Moon Tranquility Cleansing Balm ($50). It smells like a dreamy chocolate dessert and feels like heaven on the skin while removing all last traces of makeup. If you like a squeaky clean feel, go for a double cleanse and follow up with their Ceramic Slip Clay Cleanser ($45). Pssst: You may be making more mistakes with your beauty products. Read these ten things every woman does wrong when applying makeup.